September 1, 2010 Movies, Television, UncategorizedAnimal rights, Animal welfare, Claire Danes, Emmy Award, HBO, Temple GrandinReba R.
August 30, 2010 Television, UncategorizedClaire Danes, Emmy Award, Lost, Mad Men, Matthew Fox, Temple GrandinReba R.
So who watched the Emmys last night? I rarely watch awards shows these days, but tuned in last night about halfway through. 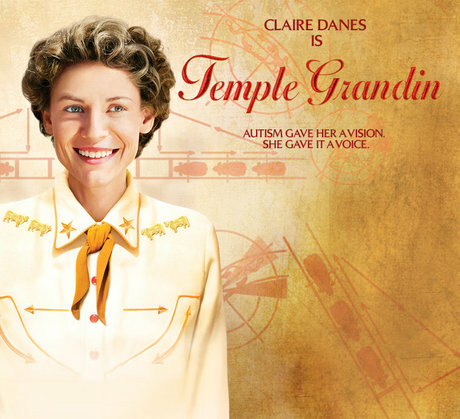 I thought Claire Danes received a well-deserved award for her portrayal of Temple Grandin. She really transformed herself in that role. And it was touching that Temple was there to see it for herself. So often these biopics are posthumous and the subject doesn’t get to experience the thrill of being honored and in the public eye. Side note, I don’t think Claire has ever looked more beautiful. Perfect dress, hair and makeup.